Preheat oven to 180°C. Grease and line a deep 20cm round cake tin. Combine milk and lemon juice and set aside to curdle. Beat eggs until thick and creamy. Add eggs and all wet ingredients to the dry ingredients and mix gently until well combined. Pour batter into cake tin and bake for 30-40 minutes, or until a skewer in the centre comes out clean. Allow to cool in tin for 5 minutes, then turn out onto a wire rack to cool completely. Carefully slice cake horizontally into three layers. To make frosting, beat together all ingredients until smooth and creamy. Spread one quarter of the mixture on each of the two bottom layers, then spread remaining half of mixture on the top of the cake. 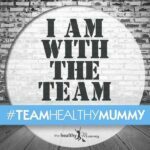 If you’re looking to take the guesswork out of what to have for dinner, join thousands of other mums on the Healthy Mummy 28 Day Weight Loss Challenge.